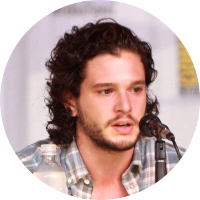 Kit Harington is a British television and movie actor who is best known for his role as John Snow on the HBO television series Game of Thrones and is said to have been one of the highest paid actors on television for that role. As that series came to an end in 2017, it was announced that Kit Harington would star in a new HBO mini-series Gunpowder about the 17th century plot by English Catholics to assassinate King James I. Kit Harington will play the leader of the plot Robert Catesby. In the announcement, the claim was made that Kit Harington was a descendant of the real life Robert Catesby through his mother whose maiden name is Catesby. However, although it does appear that he is related to Robert Catesby, it appears that he is actually a distant cousin and not a direct descendant. With a father who is a Baron, it is not surprising that Kit Harington has more than his share of Kings, Queens, Dukes, Earls, Bishops and Lords in his family tree. He is a direct descendant of King Edward I and a number of Magna Carta sureties. Some of his other royal connections include Queen Elizabeth II, Princess Diana, Sarah Ferguson, Duchess of York, Camilla Parker Bowles, Duchess of Cornwall, Catherine Middleton, Duchess of Cambridge, and King Henry VIII and a number of his wives. Kit Harington has a number of former U.S. Presidents in his family tree including George Washington, Thomas Jefferson, James Madison, Theodore Roosevelt, William H. Taft, Calvin Coolidge, and a few others. Some of his more notable kin also include Charge of the Light Brigade leader Lt. Gen. James Brudenell, Salem Witch Trial victim Rev. George Burroughs, Mayflower passenger Richard More, 1st Governor of Louisiana William Claiborne, English poet Edmund Waller, evolutionist Charles Darwin, mutiny on the Bounty leader Fletcher Christian, U.S. WWII General George S. Patton, and British Prime Minister Sir Winston Churchill.